07–08 Interaction Design Lab 1 projects » WHAT’S COOKING? What’s cooking? 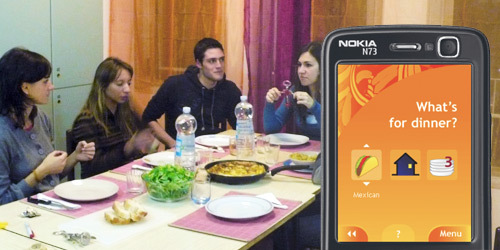 is a social software application for university students living in Venice. 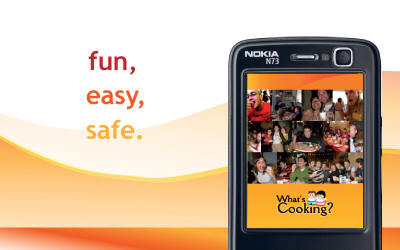 It brings together people who love cooking and focuses on the joy of eating together. Through What’s Cooking? you can find people with the same tastes as you and have dinner with them, dividing tasks (cooking, shopping, cleaning and hosting) and sharing your skills. What’s cooking? has been designed by Valeria Donati, Maria Tasca and Valentina Venza.